Marketing Research Firm Challenges EA's "All Digital Future"
According to NPD President David McQuillan, EA is definitely making use of retail data. EA Labels President Frank Gibeau recently told Games Industry International that a 100% digital future for gaming was a certainty and that EA would be taking steps to meet that future. As evidence of retail's decline, he explained that EA barely references NPD sales figures anymore because the company is more interested in using digital services to connect directly to gamers. This apparently came as a huge surprise to NPD President David McQuillan, because NPD has been in daily communication with all its partners, including EA, providing them with the latest retail data. "While we will not comment on the specifics on our long-standing relationship with EA," McQuillan said, "we can say with confidence that we have daily dealings with all of our major publisher clients. And we know for a fact they're using the data ... The current games industry is still largely rooted in retail and any industry player involved with AAA content simply can't take their eye away from the retail environment." McQuillan's argument that retail is still important, despite the growth of digital services, actually holds quite a bit of weight. For example, while it is true that EA's digital revenues nearly doubled from $211 million to $419 million in the past year, retail revenues still tower over them. 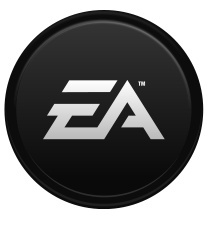 In Q4 2012, EA reported that it earned a whopping $949 million, as in nearly a billion dollars, through retail sales alone, which was also an increase from 2011. That's quite a bit of money from a market that Gibeau describes as "totally irrelevant". While McQuillan's comments could be a knee-jerk reaction to justify NPD's relevance in a digital age, those numbers do suggest that retail still has quite a bit of life left in it. In fact, it's entirely possible that Gibeau's comments are part of a larger strategy to promote and market digital initiatives which EA coincidentally started doing shortly after the Origin platform released last year. While an all-digital future is a very real possibility, ignoring retail data (not to mention offending your partners in the process) would be a very poor thing for EA to do this early in the game. Or as NPD's David Riley put it: "you do a disservice to our industry when you dismiss the value of retail sales research."